Anne Tan’s career changed after meeting two terminally ill children. As part of the Last Rites Series, TheJournal.ie have asked a number of people what it’s like to work in a job that is so closely associated with death. Today, a palliative care nurse explains what her day-to-day is like at work. 18 YEARS AGO I was working as a health visitor in the UK. I spent all of my working day promoting health and wellbeing, educating and empowering young mothers, advising teenagers on diet and supporting the elderly in the community. I had wonderful colleagues, a great work place and no intentions of ever moving on. Then I met Pam and Brian and my career and life took a massive turn. Pam and Brian were two young children on my new case load, both with terminal illness and only months to live. They had spent a lot of their very short lives in hospital to date and now, their parents wanted them to be at home and be cared for at home and to die at home. They wanted as little medical intervention as possible and as much support as possible. When discussing my cases with my supervisor, I realised it was very much my responsibility to be the co-ordinator of care, support and empower the families of these children in order to ensure they received the appropriate help, advice and care to enable them to plan and care for their dying children at home. This was a new experience for me, very different to what I had been doing and as I was to discover a huge challenge. Then I discovered we did not have a hospice in our area, outreach from nearest hospice stopped four miles away, there was no palliative care consultant, and much to my disappointment the community palliative care nurses did not take on children. The next nine months was a huge learning curve. There were tears and anguish, disappointments and triumphs, however, both families managed to keep their children at home and both children died comfortably in the arms of their parents with their siblings and family around them. It was this experience that spurned me on to do my degree in specialist practice, higher award in palliative care, certificates in communication, counselling and facilitation and gain experience in the Marie Curie Centre to enable me to become a clinical nurse specialist in palliative care. As a clinical nurse specialist in the community, the day starts in the car on the journey to the office. I listen to the phone messages from the night nurse reports. I start thinking about and planning for the care of those patients and the others on my case load as well as planning for the work commitments of the coming week. I have numerous phone calls, discussing and sharing information with the teams I work with. I will pick up new referrals from hospital nurses, consultants and GPs and set about gathering valuable information from clinicians involved with the patient as well as the patient and /or carer in order to make a decision regarding timeliness’ of visiting and prioritising my workload. I make preparations for case and family meetings, take phone calls from colleagues in the community to give them advice and support to assist them in their decision making regarding their care of other palliative care patients. Everything has to be documented these days and that is time consuming. Once with the patient, my time is exclusively theirs. My role is to listen, assess, (paying attention to the finest detail) taking a comprehensive physical, psychological and psycho social history. I will manage symptoms and advise on care planning, medication, diet, rest exercise, spiritual and social care treatment. I need to be empathetic and understanding; I need to be open and honest to provide the right information at the right time in the right way and have time to spend with the patient. 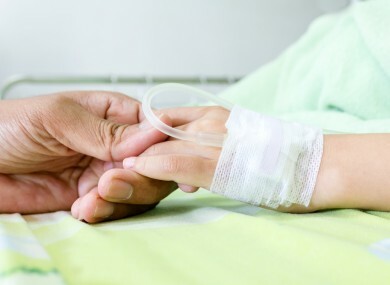 It is important that they trust in you as a professional and understand what is happening for them in order that they can make the right choices and decisions about and their future care where they want to be cared for and die. It is imperative that the family carers are involved and informed and that plans for care and death are communicated to all the relevant people. Resources in the community are limited and for patients to be cared for and die at home there needs to be a huge commitment from the family. There are challenging times when much needed services are not available. Family carers who are exhausted and finding it difficult to cope, can find it difficult to manage symptoms. However, we continue to be supportive and ensure we get the support we need from our team. To be a support and an advocate for the patient who is sick and suffering is both a challenge and a rewarding privilege. When I leave the patient’s house to travel the 20 or so kilometers to the next visit I will pick up the many messages and return the missed calls along the way. Back in the office further phone calls, letters acknowledgements and e-mails as well as the dreaded documentation takes me to finish whatever time that might be! Anne Tan is a team leader specialist in palliative care in County Offaly. Email “'It's my job to help the family plan and care for their dying children at home'”. Feedback on “'It's my job to help the family plan and care for their dying children at home'”.